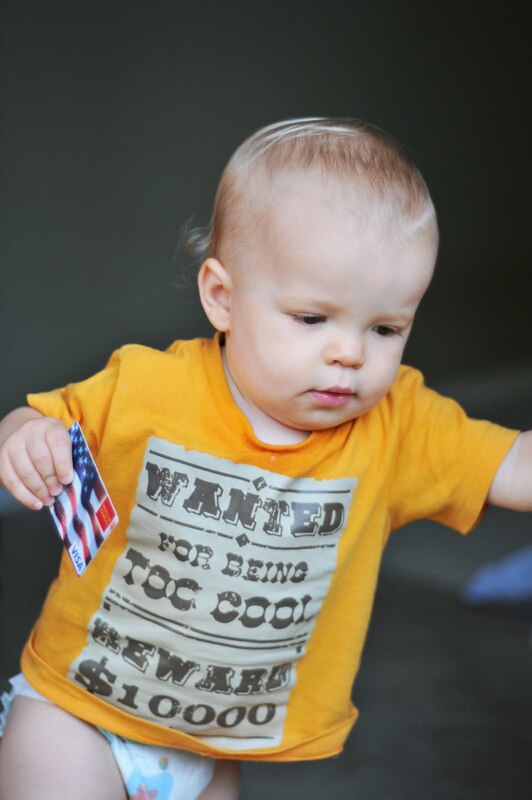 Last seen running for the door, in a diaper, with the stolen credit card in hand. Beware, he was knocking over anyone in his way. Apparently he's wanted for being "too cool" as well!